Dental treatment abroad may seem very difficult to plan and this is why we created a useful check-list with all the arrangements needed to be done before, during and after your dental holiday. The contact form – will help you keep in touch with the dental clinic and the new treatments available, as well as special offers and discounts. If you have questions regarding dental treatments in our clinics, about costs or you need a second opinion, please complete the dental form- you will receive our email within 24hrs. If you need a quick answer, please feel comfortable to call us at (+40) 744-60 20 20. It is very important for you and for us as well that you to have all the information you need before arriving at the clinic. Offering an accurate dental treatment plan implies collecting all the necessary information regarding your dental status. That is why it is important for you to also send us a set of RX, a CT or even clinical photos. We know the importance of a quick reply. That is why, your dental tourism consultant, Andrei Stirbulescu, will contact you immediately after receiving your request. You will have the occasion to offer him additional information and to build a relationship based on trust and understanding with our representative. After gathering all the information, a multidisciplinary medical team will evaluate your dental status and in 48 hours Andrei and your coordinating doctor will send you the overview on your dental restoration stages, the treatment duration and the general costs for each stage. This represents a complete set of information about your dental treatment so you can decide if we are the right choice for you. If you feel like getting in touch with our clinic before completing the online form, please feel confident to contact Mr. Andrei Stirbulescu by e-mail andrei.stirbulescu@dentestet.ro or by phone 0741 20 70 00. We speak very well English and French, so you do not have to worry about any possible difficulties in communication. Feel confident to ask for more information on the international certifications and the clinical experience of our medical team. You can also explore the latest digital technologies available in our clinics. In most cases, patients coming from UK, France, Italy, or even the United States choose to combine their dental treatments with a relaxing holiday in Romania. This is why dental tourism in our country is highly active in spring and summer. Another recommendation is to choose a suitable date by first checking the prices of the flights so you find the option that best suits you. Before coming to Romania for your treatment, you will have enough time to discuss to our dental tourism consultant about your scheduled appointments, your doctor and the dates and hours you are available to come. It will help you enjoy a beautiful experience while getting a restorative treatment. Henri Coanda Airport in Otopeni, 15 km from Bucharest, has commercial relationships with and provides services to airlines and passengers from around the world. You can easily find flights to Bucharest at accessible prices. You can book the flight on your own or we can offer our support to find a good offer for a round-trip flight, depending on the date planned for the trip to Bucharest. We offer all our patients transfer from the airport to the clinic or to the hotel, and also between the clinic and the hotel, so that you can arrive relaxed and in time for the appointment. An apartment in the town center and close to the dental clinic: this is the cheapest option and has the benefit of no check-out time. A hotel about 3 min walk from the clinic. There is a full range of 3, 4 or 5 star hotels around Aviatorilor Boulevard. Let us know if you want us to make these arrangements for you, as special discounts may apply. After completing the steps above, simply book the flights, send the flight details to us and let us know which type of accommodation you prefer. We will take care of the rest. What’s next? You will receive an email with practical information about your flight, accommodation and treatment, together with a list of places to visit, restaurants and many other tips for a great Romanian holiday. During your stay in Bucharest, depending on the length of your trip, you can enjoy a personalized city tour or even a short trip to the mountains, in a very appreciated mountain area, not far from Bucharest. We will first meet at the airport. Welcoming you is our first concern! No matter where your accommodation is, we ensure a free complimentary transport for you. If you wish to take you directly to our dental clinics, the journey takes about 40 minutes in normal traffic. Also, all our patients receive a free welcome pack including: a map of the town, keys to your apartment or a printed hotel confirmation, a folder with specific information about DENT ESTET, your future treatments and a printed schedule of your appointments at DENT ESTET. If needed, we can help you get a local phone number during your stay. All the procedures in your treatment are guaranteed, some of them for life. Still, in the unlikely case that you ever have any problems, we provide replacement or repair of the treatment FREE of charge. And just because we like to know that your new smile is there to last for many years to come, our local partner in UK is more than happy to see you anytime you need. It is very important to see him once a year for a check-up and every 6 months for the professional cleaning. 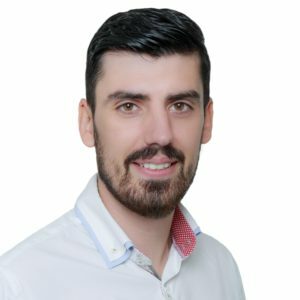 To make sure we deliver a successful treatment and the perfect esthetic result, during your first visit, after you meet your doctor and you take an up-to-date digital OPG X-ray, you will discuss with him what are your expectations, your main dental problems and what your desired smile looks like. Your doctor will closely look after you while you undergo all the procedures in your dental plan so you know exactly what is going to happen in each session. A final treatment plan and quotation is then made up by our treatment coordinator while you have a cup of tea or coffee, watch TV or surf the internet using our free WI-FI.